I had a craving for a burger last week. After a month of pizza, I was ready to move on to another comfort food favorite. I have had some great burgers during my Berks County Eats journey, but I’m always looking for something new. So I did a quick Google search for “Best Burger in Berks County,” and found Berks County Living’s Best of Berks award page and their description of Bertie’s Inn. 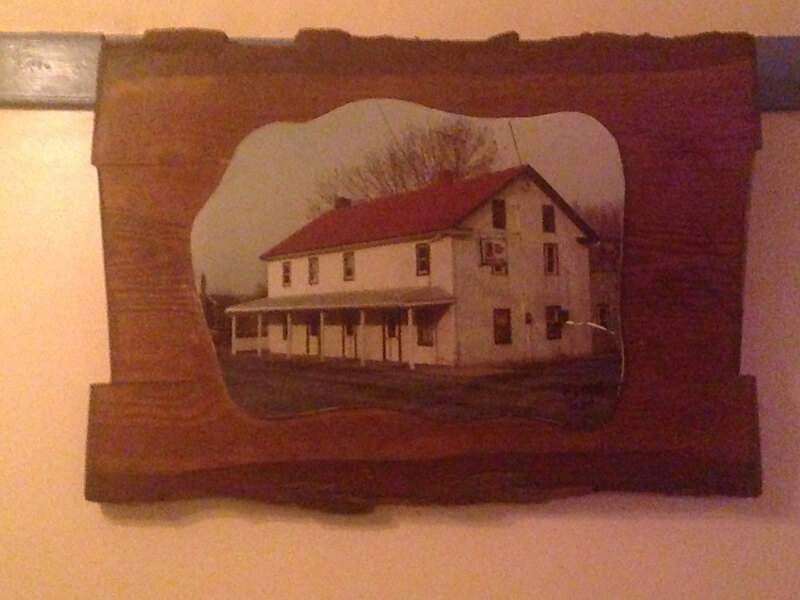 The country inn is seemingly in the middle of nowhere, along Old Friedensburg Road in Exeter Township. I had no idea what to expect when we arrived. I knew two things about Bertie’s Inn before we arrived. One, that the restaurant and bar hosts an annual belt sander race. And two, that I was going to get one of the award-winning burgers. When we pulled up, we didn’t even know where to enter. Neither did the couple behind us who also had never been to Bertie’s before. After a miniature game of Let’s Make a Deal, we chose door number 1 which led us into the bar room. The bar ran the length of the building with high-backed, wide-based wooden stools lining the counter. Two staff, one young lady and a jovial gentleman who invited us in and put our minds at ease. He could sense that we were first timers by the lost looks on our faces as we asked about table seating. He pointed to the darkened room behind us and gladly flipped the light switch and led us in. We pulled up a couple chairs at a corner table and took a look around the room. The room was very plain, sterile even. The walls were white with little color and a single piece of artwork, a painting of Bertie’s Inn on a piece of wood, hanging on the wall opposite us. Scouring the menu, I found the burger options. There was a build-your-own option with about a dozen toppings to choose from, but I wanted to try the burger that earned Bertie’s the Best in Berks title: the Motley Burger. The name is unique, but you can find versions of the Motley at other restaurants around the county. 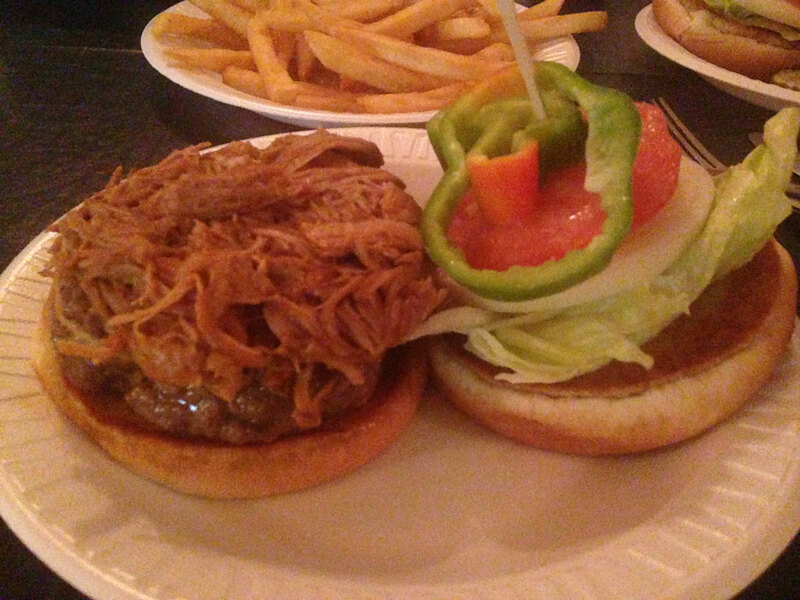 The burger is topped with pork BBQ, your choice of cheese, lettuce, tomato, onion and green pepper (which is actually the most surprising topping). Our server informed us that all of Bertie’s burgers are made to order so we could expect a longer wait than at your larger restaurants. When it arrived, it was easy to see that this was made in-house. the burger was plump and juicy, not flattened like a pre-processed patty. The toppings were also cut fresh, including a whole slice of onion (my favorite) and two thick slices of green pepper. I tried my hardest to take the two halves and turn them into a single burger, but it was a daunting task. Fully constructed, the burger stood at least six inches tall. Making matters more difficult was the juiciness of the patty. The bottom bun became soggy as it soaked up all of the drippings from the patty. I tried turning the whole creation upside-down, but it was too late to salvage it. As thick as it was, it was impossible to get a little bit of everything in a single bite, but I did get a good taste of everything on the bun. 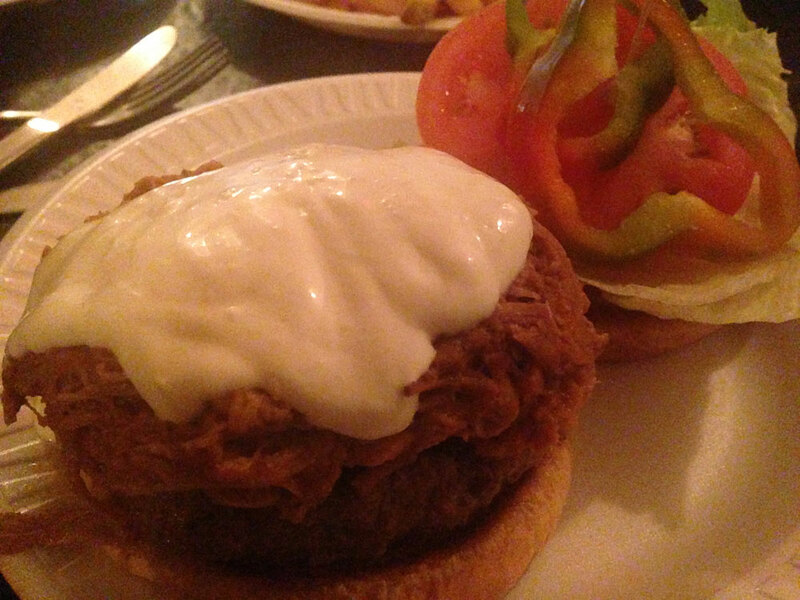 The pulled pork was OK, but it probably couldn’t stand on its own as a sandwich. That said, it worked perfectly on a burger that was already flavorful. The green peppers were an interesting addition, though I would have enjoyed them better if they had been more finely chopped to better fit. In addition to the Motley Burger, Bertie’s also offers a Motley Blue. The Motley Blue features all of the same ingredients as the original but with the addition of blue cheese dressing. Julie was anxious to try the Motley Blue and taste how the blue cheese dressing mixed with the burger. She was afraid it would make the burger too wet. Of course the burger was already wet so it didn’t matter. The dressing actually gave more of a blue cheese flavor than cheese would have. 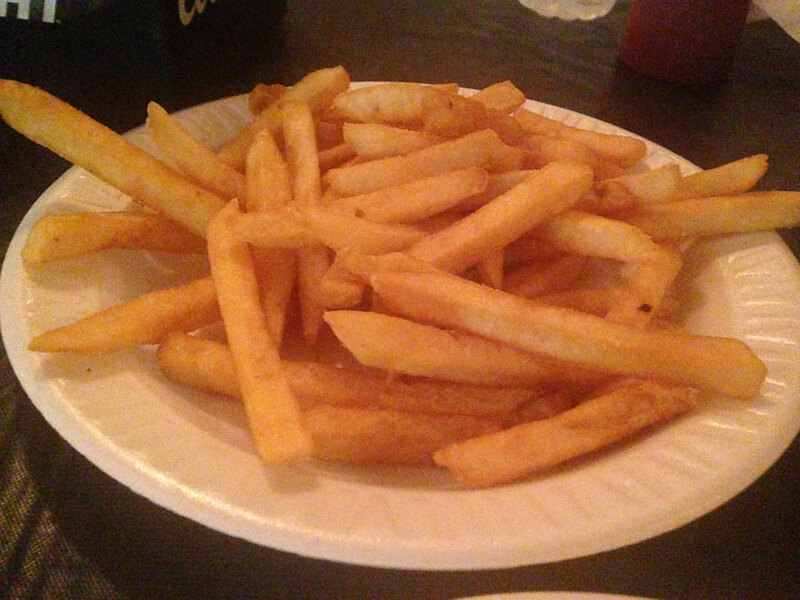 We also grabbed a large order of fries to share as a side. The fries were good, but nothing truly special. The thick-cut spuds were more like fast food fries than fresh-cut, but still enjoyable as a change of pace to the burgers. When we were finished, we headed over to the bar to pay our tab. For our two burgers, an order of fries and two bottles of water (Bertie’s does not offer tap water), our total came to $28. You can find cheaper burgers in Berks, but I certainly did not feel cheated. I’m not ready to call them the Best in Berks, but the burgers at Bertie’s Inn were certainly very enjoyable. And now I’m craving another one.